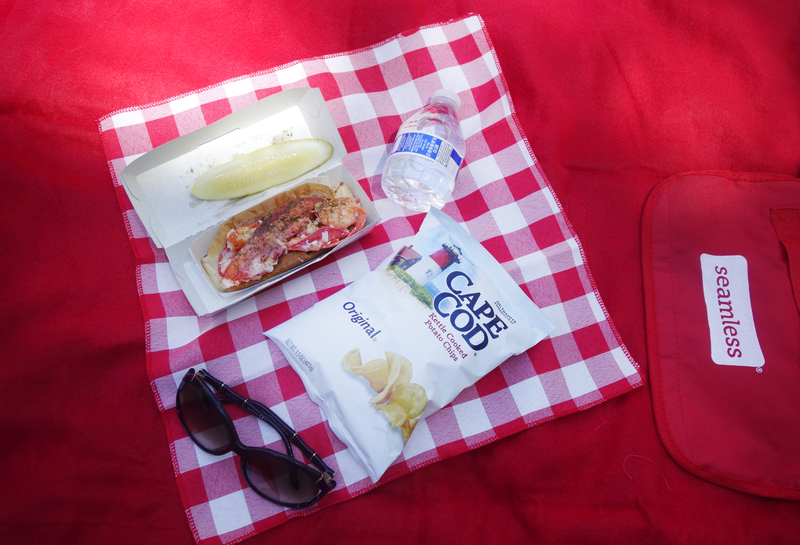 You’ll receive your summer time picnic essentials with your order. 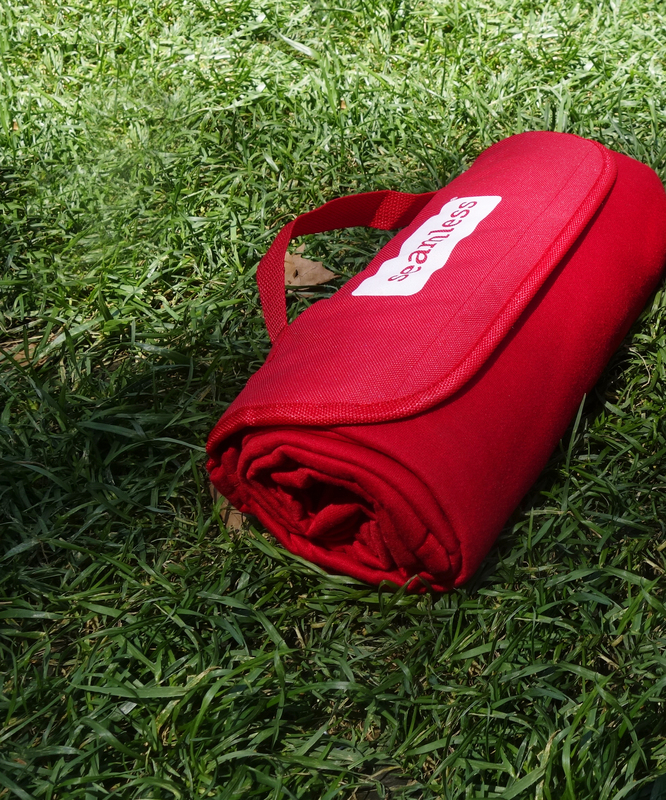 – Seamless picnic blanket (only provided for in park pickup orders). 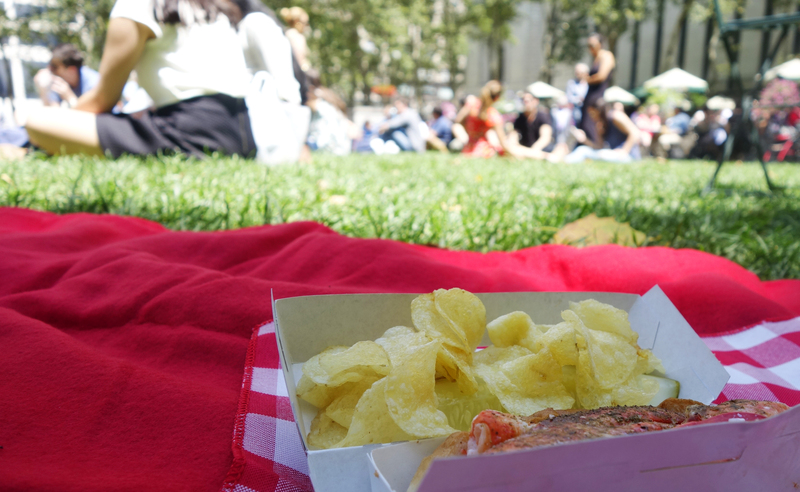 Seamless Picnic Day Baskets are available for pickup at select city parks (Flatiron Plaza & Columbus Circle), or available for delivery in Midtown East, Midtown West, East Village and the Financial District. 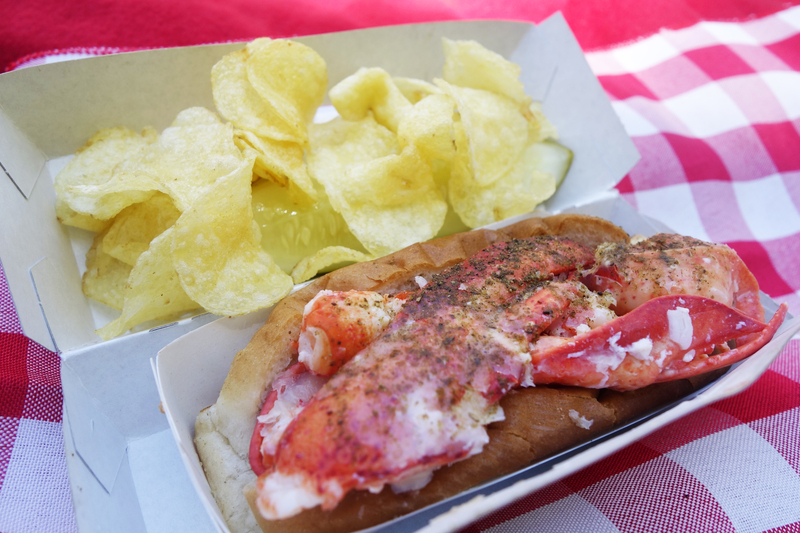 Whether you’re indoor or outdoor, getting Lobster Roll delivered will definitely brighten your day and take your tastes buds on a trip to Maine. These lobster rolls come stuffed with big chunks of tender lobster (lightly seasoned) on an ultra buttery and toasted roll. Crunchy chips and a tangy pickle. Can you say #classicsummer ?! 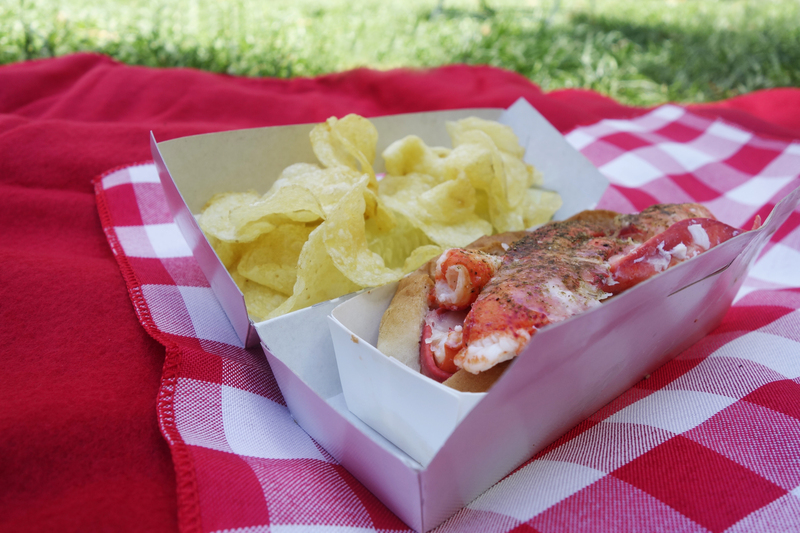 If anyone needs me around lunch time on July 29th, I’ll be at Bryant Park… enjoying my lobster roll and maybe even a nap on my new Seamless picnic blanket.